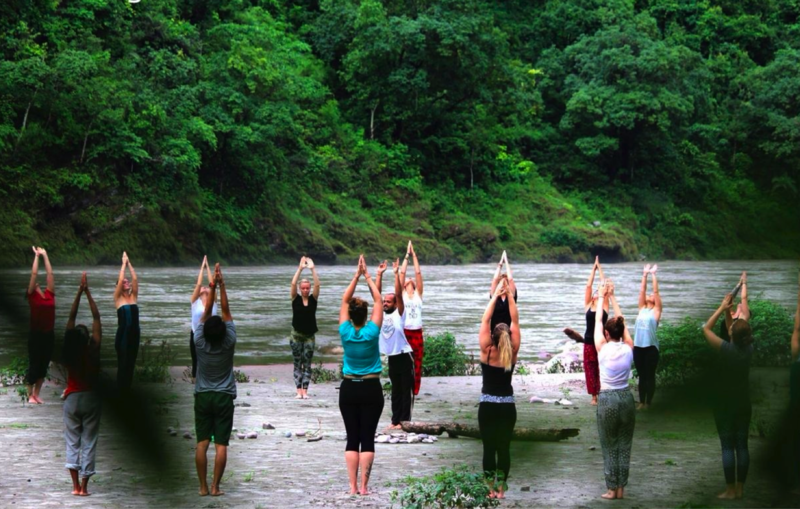 Multi-Style 50 Hour Yoga Teacher Training Retreats in India allows you to experience intensive yoga in the traditional style at Rishikesh. This retreat has been created for people who wish to experience yoga first-hand but who have only limited time at their disposal. It also provides a good opportunity to understand what yoga teacher training is all about especially as a beginner yoga learner. You could also attend the short one week retreat as a means to improve or maintain good health. The 50 hour yoga teacher training is considered the first week of the complete 200 hour teacher training course. You will be provided a 50 hour certificate after the completion of the multi-style 50 hour yoga teacher training retreat but you cannot register with Yoga Alliance without completing the full 200 hour yoga teachers training course. If you like the experience you could continue and complete the 200 hour yoga teacher training or you could complete the remaining 150 hours at a future date. After course completion, student will receive 50 hour yoga teacher training certification registered with Yoga Alliance, USA.